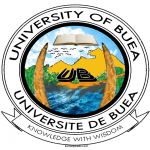 The Advanced School of Translators and Interpreters ( ASTI ), University of Buea, Cameroon, host to the Pan African University Masters in Conference Interpreting and Translation ( PAUMCIT ), is delighted to announce the Second Joint Pan African University – University of Buea Professional Translators and Interpreters Workshop, to be held in ASTI, University of Buea, Cameroon, on Wednesday, 15 April 2015. SPEAKER: Emmanuel A. Ayuk, Translator/Interpreter ( AIIC ), Formerly Vice-President of the Association of Professional Translators and Interpreters of Cameroon ( APTIC ), Currently Representative of the International Association of Conference Interpreters ( AIIC ), Africa Region, etc. Translating and/or interpreting in a legal/court setting is very peculiar, though consistent with the basic principles and practice of translation/interpreting. In particular, it bears, from the onset, to state that translators and interpreters are now recognized stakeholders in the legal process, especially as guarantors of due process rights which are enshrined as a human right, including the right to have the free assistance of an interpreter during the proceedings or entitled to the translation of procedural documents to ensure that defendants follow the proceedings in a language they understand. Understandably, this pivotal role explains why court interpreters/legal translators are held to higher standards of accuracy, higher expectations of completeness, are prone to greater risks of error with grave consequences, considering that legal cases involve freedom, property and sometimes lives, yet required to maintain the tone and language of the law. The operating environment which inherently involves navigating at least two legal systems or traditions is generally constraining for language professionals at domestic and international levels, as not only are there few professionals who possess the knowledge, skills and abilities required to perform optimally, but other factors such as resources and organizational arrangements impact the performance of language professionals and, indeed, constitute challenges. This presentation will therefore focus on these challenges, which are essentially drawn from my experience and research in international court settings, and propose ways of addressing them. The presentation is expected to provide an insight into this little known field of translation/interpretation that holds incredible opportunities for the future and hopefully, spur students/trainers/academics to take keener interest in legal translation and interpretation. Emmanuel A. Ayuk studied translation and conference interpreting at the Advanced School of Translators and Interpreters ( ASTI ) between 1995 and 2000, graduating with a Master’s Degree and Postgraduate Diploma respectively. He is currently completing a Master of Advanced Studies in Interpreter Training from the University of Geneva where he researched and designed a course on court interpreting skills. Professionally, he served as translator/interpreter at the Presidency of the Republic from 2001 until 2007, when he joined the United Nations International Criminal Tribunal for Rwanda ( ICTR ) as translator/ interpreter. He acquired extensive experience, knowledge and skills in court interpreting and legal translation during his service at ICTR. As an interpreter trainer, he made his debut in 2004 at ASTI, training scores of student interpreters who are now solid and recognized professionals. That experience informed his decision to join interpreter training masters in Geneva. Emmanuel is currently a managing partner of Africa Conference and Events ( ACE ), a firm he co-founded, which specializes in the provision of language services and events management. He previously served as Vice-President of APTIC and now leads the International Association of Conference Interpreters ( AIIC ), Africa Region, representing the continent in the global association’s advisory board. All ASTI and PAUMCIT students and staff are invited to attend. Previous story MINESUP Sri – Lanka Scholarships Guide For Cameroonian applicants.